There is a rule of grass cutting that state that you should never cut grass by more than a third of its length. That means that you can’t wait too long between grass cuts. We maintain lawns in Austin, Dallas, Garland, Irving, and Plano and too often we see people let their lawn grow too tall, then cut it in half. 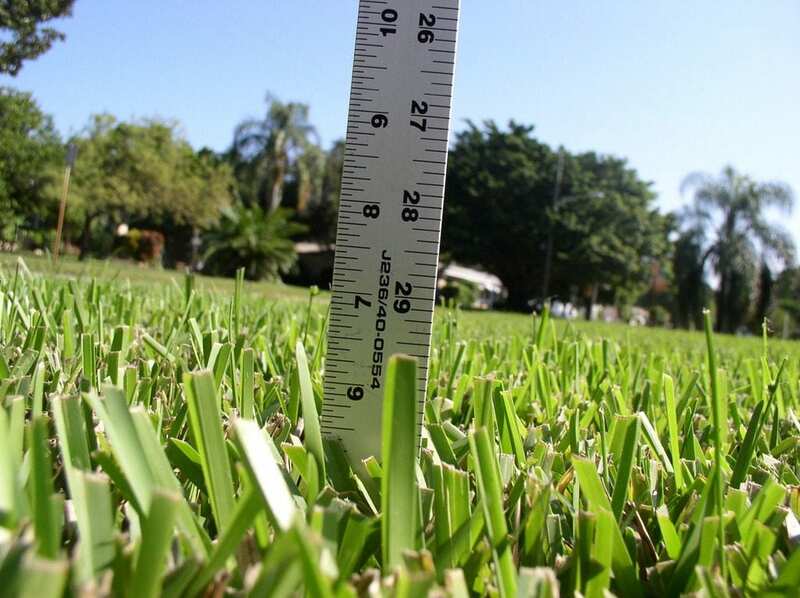 By removing more than one-third of the blade length at a time, they are damaging their lawn. Mowing is actually considered pruning. This is a form of injury to your grass. Severe cutbacks are much more stressful on grass than lighter cuts and require more energy to heal. When grass is growing fastest in mid-spring, this may mean going and mowing biweekly (twice a week). The detrimental alternative is to wait for your grass to grow above a point where you have to take off more than one-third. This not only shocks the grass but also creates large masses of clippings. Weekly lawn mowing services prohibit clippings from being a problem. They’ll be short enough to disappear into the lawn. It is actually best to leave the clippings (on a regular schedule so you never have to bag them). This returns much needed nutrients to the lawn soil as they break down. If you are looking for a professional lawn mowing services, call our GoMow experts. Click below to get a quick quote. They say, “Everything is bigger in Texas” and oh, boy … WHEN IT RAINS, IT POURS!